Yes, It might be an hour and a half ceremony and you probably get about a minute of fame when called out on stage to receive your certificates; not to mention the buzz of paparazzi activity going on somewhere in the audience (your family taking pictures). However, there is so much more to this day which should already be obvious from the first sentence in this post. Not only is it a super special day to your family, it is also a day that will be remembered by them for the rest of your life and how are most things remembered? by pictures, which brings me to the focal point of this post ”your image”. It is highly important that you pay as much respect to your image on the day as you gave to your final exams. Well maybe not as important but you get the point. This will probably be an outfit you’ll see for the rest of your life, hung up in your parents living room and somewhere in your own house. This is more than enough reason to understand the importance of the outfit you wear on the day. You will want to see a swell dapper looking gentleman in the family album that you can boast to your kids about and have them think their dad was cool rather than some awkward, stiff individual who had no style sense. But don’t be alarmed or scared if you fit the latter because after reading this post, you will be well equipped for the big day. Now lets understand the type of event and attire a graduation calls for. Seeing as it is a formal event but not as extravagant as an award ceremony or a ball, it falls in between that and a formal/business attire you’ll normally sport to the office. However, seeing as its not an everyday office attire its needs to be more presentable and more of a statement looking outfit to commemorate the occasion. 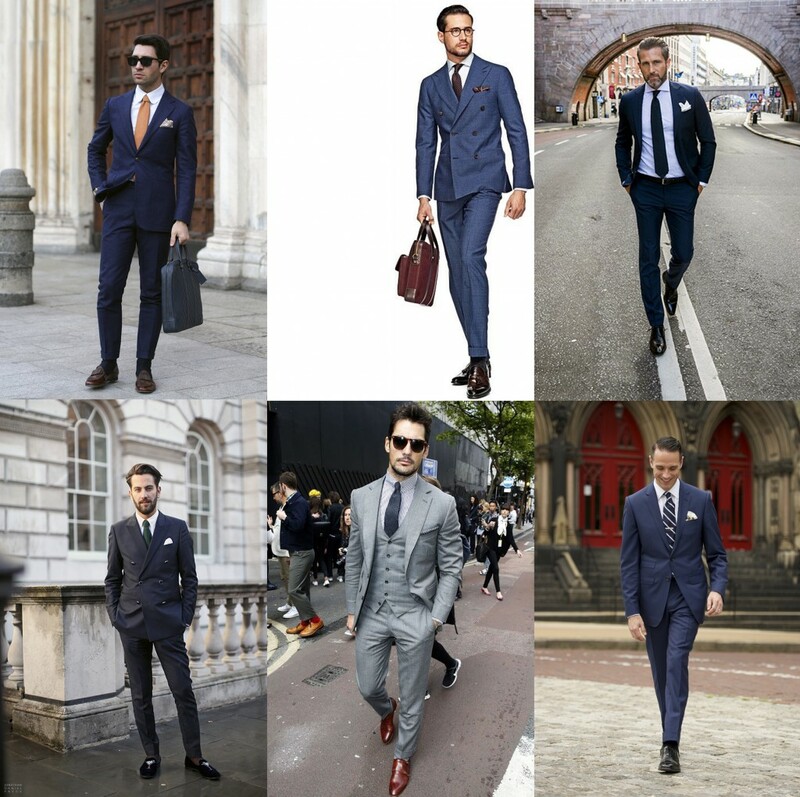 I’ll split the details into three sections to guide you, which are: The Suit, Accessories and Shoes. 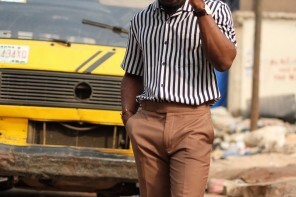 The most important aspect of your outfit and one you must get right even if the others come out in an average standard. 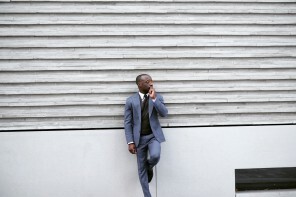 Perfection is highly favoured with your suit as it can be the different between nailing elegance and sartorial finesse or looking awkward; the key to success lies in the fit. 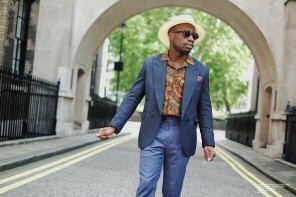 For most graduation ceremonies, a traditional two-piece suit will suffice but you could take it up a notch with a three-piece suit or double breasted suit for a stronger feel, which ever makes you feel on your A-game. 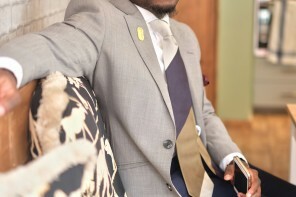 I always make it clear in all my suit posts that the fit is everything and if you haven’t come across any, I’ll make it clear again… the fit is everything! No matter how expensive or cheap your suit is or the attention paid to material selection on your suit, the correct fit to compliment your body shape will take it up a notch and makes you look like a true gentleman. It is highly advisable that while suit shopping you put some money aside for alterations. There are only a handful of suit sizes and you should never expect an off the rack suit to fit you perfectly as they haven’t been designed for your specific body frame. If you want that to happen, you will need a bespoke or made-to-measure suit which would probably cost you double/triple the price but will be worth it. 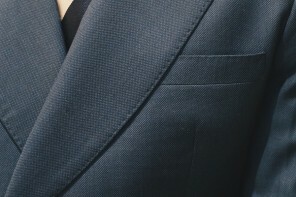 Also, have a look at my suit fitting post which gives in-depth details on suit tailoring. 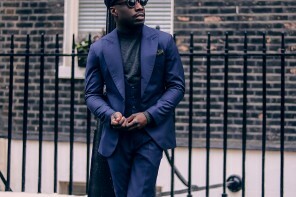 I personally suggest a more classic fit with contemporary tailoring than a skinny suit as its less professional and gives you a newbie persona. It also might be awkward in decades to come seeing as its a current fashion trend and not a native suit design. This is also an important aspect when choosing your suit as it needs to be suitable for the occasion. I would strongly advise against linen, tweed or flannel wool suits as they are too informal for the occasion and polyester-based and teflon suits tell of the cheap price paid for the suit. For a more affordable suit, stick to cotton-based and wool suits as they are very suitable and convenient for the occasion and when fitted well, they appear more luxury than they are. But if you got a few more hundreds to spare, you should focus on silk and luxury cashmere which should be perfect for the occasion. Stick to colours you would wear to the office as its a formal occasion and doesn’t require any flashy or out of the ordinary colours. The ideal go to colour will be navy blue or black however I’d also like to see a bit more greys worn for graduation. Similar to blue, light grey, dark grey and normal grey will work as well as your light blue, navy blue and blue. If there was any I would eliminate, it would be black as I consider it boring and very basic, leaving accessories to do all the work. The best option for shirts colour-wise will be pastel colours such as light blue, light pink, white and light purple. An interesting way to choose your shirts can be to work with your university colours, be it contrasting, complementing or being of identical colours as long as you stick to these options. It is important to understand that the details make the difference in an outfit and in this case, being a special occasion, you need that difference that gives your outfit an intended statement which can be accomplished either in a subtle or flashy way; and by details, I am talking about your cufflinks, tie bars, pins to more obvious ones like your pocket squares , ties and socks which should be a must for graduation. 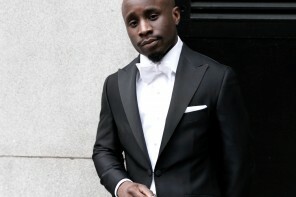 This is one aspect you need to strongly consider while buying your suit as they need to sync perfectly. You also need to make sure they work well with your graduation gown for a stronger all-rounded look, showing your attention to detail. Focus on the texture of your tie and make sure they aren’t too shiny or basic and this would upset the overall presentation. With ties, this has to be based on personal preference and there is little I can personally do to help you on this one, asides letting you know they must be tasteful and pleasant. 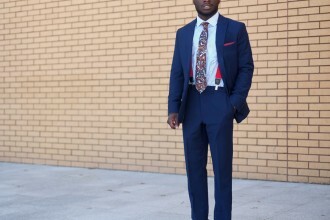 I’d also definitely avoid skinny ties for this one and I’ll go for ties with strong and bold patterns to present more attention to the outfit and show a strong attention to detail, considering it is a one time memorable event. Cotton, wool and silk ties would be preferable and work with patterns like check, dotted, stripped and can get even bolder with paisley and graphic (as long as they aren’t images of animals or objects). I believe this should be compulsory for graduation as it gives you that extra effect and recognition of the type of event you are attending. Also takes the outfit from a basic work suit to a special occasion. Once again this is down to personal preference but you need to make sure it works absolutely well with your shirt and tie. The first rule is to “coordinate” your tie and pocket square and not “match” them. 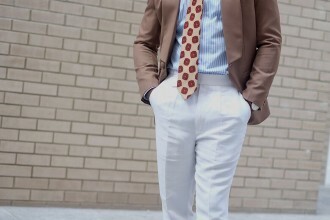 The first reason why this is wrong is that the attention becomes a horizontal focal point as the viewer’s eye focuses on the match between the tie and pocket square opposed to the outfit as a whole. It also oozes a lack of sophistication/confidence and makes it obvious you have just gone out to buy a coupled set. 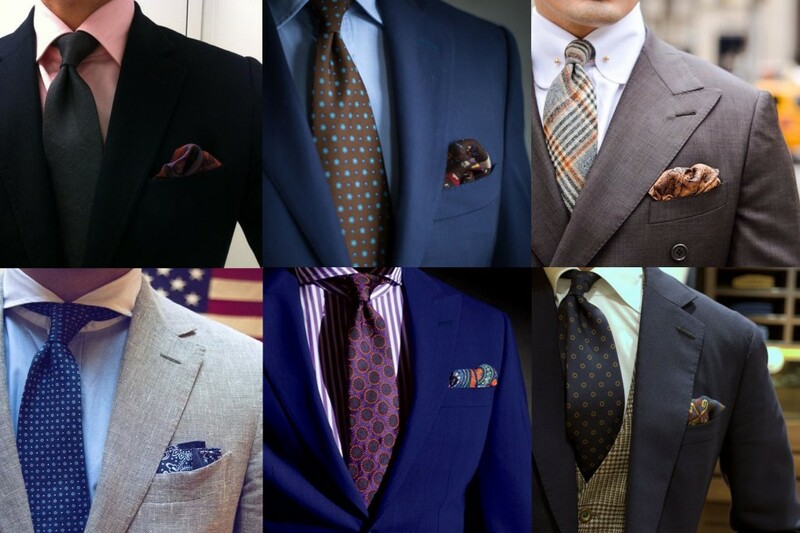 Your pocket square should only complement your shirt and tie and not match them. 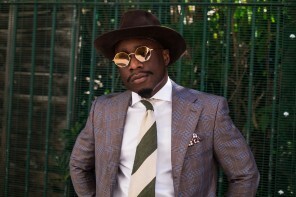 A successful coordination of the shirt, tie and pocket square is not hard work at all if you bring a bit of creativity to your colours and patterns. Lets assume you have a red/blue stripped tie on, you can co-ordinate the striped with a pocket square of similar stripes but with complimentary colours to create a good sync. Then if you want to co-ordinate your colours you can have a bold tie that is green paisley that can work with a green plain pocket square with coloured edges. You can have a look at my pocket square post for folding inspirations. This comes down to your experience with working with colours and attention to details. For most people who are beginners, I suggest you keep it tonal in accordance with your suit, for a safe and easy approach which won’t go wrong. You also have the option to work with subtle patterns and colours which complement your tie and pocket square. It is important you know not to have bold patterns/colours for all your accessories as you can become a comic scene and that guy who tried too much. Before I dive into the type of shoes that would work perfectly with the above, I/ll like to discuss some don’ts. Firstly, I suggest you avoid shoes with light/brighter coloured soles as they are less formal and won’t round off your outfit impressively. I’ll also suggest you stay away from extremely pointy shoes as they are outdated and would definitely look out of place when looking back at your photo album. Now that is out of the way, let’s get into the right type of shoes. The safest and mostly worn shoes for such an occasion will be the lace-up oxfords. Its close up laces complemented by the cap toe gives it a sophisticated yet formal finishing making it the perfect formal shoes. The bold buckle used for monk straps is what makes it the shoe that it is today. It can be seen as a more uptown alternative to lace-ups and a less formal approach compared to the Oxfords or brogues. The single straps present a more classic and timeless look while the double has a more contemporary and military feel to it. It is a highly accepted alternative to the Oxfords or derbies. They are Oxfords with perforated toecaped edges, these shoes are extremely beautiful and when paired nicely with a suit it probably can give the best all-round look for a formal event. 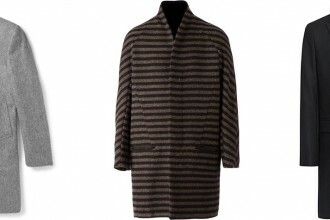 It is shaped with all formality but its designed present a highly preppy and younger feel to the outfit. Unlike the others, the tassel loafers gives a different outlook to the outfit, making it less formal but equally presentable and suitable for the occasion. For those who want a strong socks game, this is your best option to showcase them. 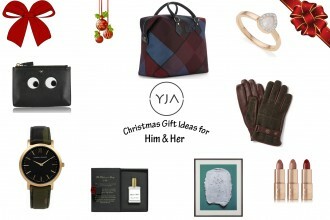 Remember, keep it leather as any other material would be too informal for the occasion. Stretch your pocket as much as you can and get yourself a quality suit as it would be useful for your graduate job. This could in turn save you money as you would not need a replacement suit through early wear and tear of a low quality suit. The fit of your suit is as important as the quality of your suit. Take this into consideration and consult a tailor for alterations if required.